Home to some of the most important historic sites of the ancient world, the Peloponnese peninsula is as rugged as it is beautiful. 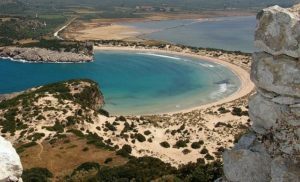 Full of incredible archaeological sites and stunning natural beauty, the Peloponnese is home to many Brits and Europeans who have moved to Greece with Nomad International. 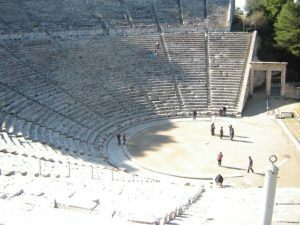 From Epidavros in the north of the region, to the capital Kalamata in the south, we’ve moved people all over the Peloponnese. While Stoupa and the wild Mani peninsula are a favourite, we’ve moved people to and from each of the “fingers” of the Peloponnese, as well as islands off the Peloponnese like Hydra. As with all of our removals to and from Greece, Nomad doesn’t use agents – we conduct the entire removal door-to-door ourselves. This means that from the time we arrive at your home in the UK to collect your belongings, until we deliver them to your new home in the Peloponnese, you know that we are in possession of your goods and you can call us at any time throughout the process. 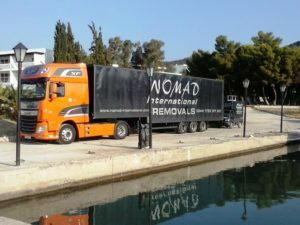 While moving home can be stressful, Nomad takes the stress out of the experience through our extensive experience in removals to Greece – you can trust us, because no matter how difficult your removal is, you can bet we’ve done it before! We have the experience (and equipment) needed to do the job properly. From cliff-top deliveries to tiny villages, we’ve seen it all in Greece. Most importantly, the experience is made much easier by the patient and happy attitude of our team members – something that is frequently commented on in testimonials from our customers. And as BAR members, you can be assured of our professionalism at all times. If you’re moving from the Peloponnese to the UK (or to France, Belgium, or anywhere else), we can make it just as easy for you. We operate the exact same system but in reverse! A full door-to-door service, handled with the greatest care and professionalism, by a BAR-member company that specialises in Greece. Nomad really is the perfect choice.